What a geoarchaeological season it was! We haven’t gotten over it as yet and can foresee a year of excitement in the lab(s). No, we did not have quite a romantic relationship with the nimitis who were just starting to cuddle up with us when we left the place. 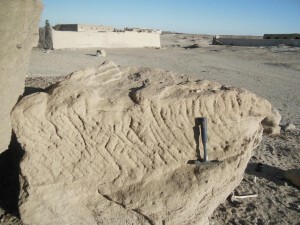 Instead it was a season of fun involving sampling from within the trenches to better understand the use of space and site formation processes, of provenancing the sandstones found within the Pharaonic town and locating the New Kingdom sandstone quarry and overall placing the 18th Dynasty remains in their environmental context. 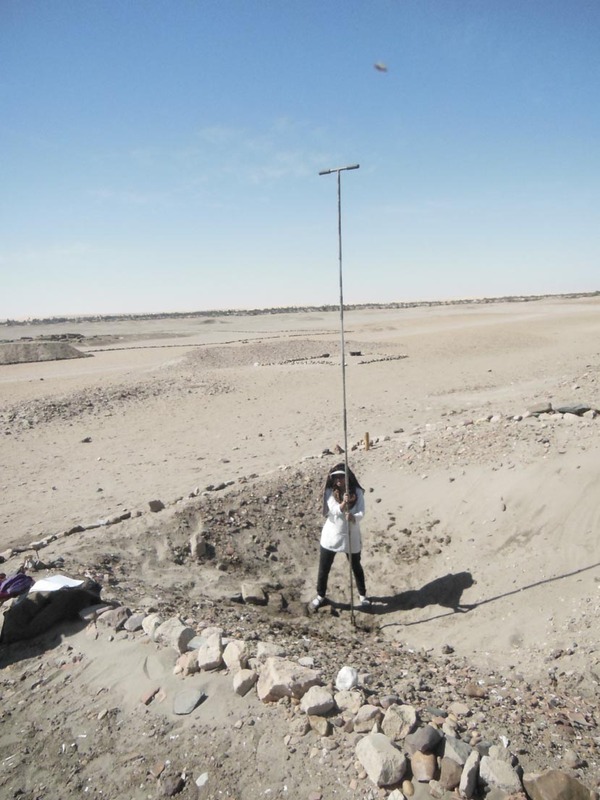 One of the main focuses of this year’s fieldwork was directed on locating the source of building stone for the New Kingdom stone buildings. 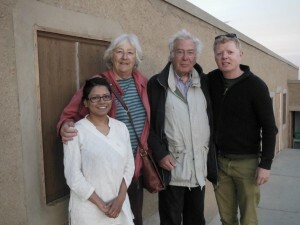 In this respect, we had received helpful assistance by Prof Klemm and Rosemarie Klemm. A detailed survey was carried out both within and outside the island. No quarry site from Pharaonic times, however, was found outside the island, in the vicinity of the sandstone outcrops of Gebel Abri. On the other hand, several quarries in the sandstones were identified adjacent to the New Kingdom town itself! When scrutinised more carefully with Professor Klemm’s long experience of Pharaonic sandstone quarries, analogous chisel marks have now been identified on the sandstone outcrops of the quarries and on the blocks of stones used in the temple. Here, we would like to thank Martin Fera for lending us his geological hammer, about which we would ALL somehow manage to forget from time to time, thus creating much commotion, laughter and fun amidst our fieldwork. This year’s survey also produced further suggestion about the Pharaonic harbour or landing ground in the adjacent alluvial platform when rock-cut features for tying ship ropes were found at least at two places. In addition, rock cut steps bearing chisel marks identical to those of the temple have also been identified. In addition, six boreholes were dug towards the western side of the Pharaonic town. This has revealed no trace of an extramural settlement where sampled. A thorough landscape survey has also been undertaken to understand the nature of the deposits, especially towards the northern part of the island. This has enabled us to collect data to develop a surface map of the vicinity of the town. Along with the data from the hand auger profiles, exposed sections, soil micromorphology and the surface map, a better understanding of the site setting and geomorphology of the location can be integrated within the GIS for various purposes. The grass is always green on the other side. Now that we are back at home in the dark and cold, we are longing for some sunshine and clear sky like that of Sai. Knowing that is not a possibility at the moment, we are at least happy that we have a good load of micromorphological and petrographical samples to analyse through in the coming months. 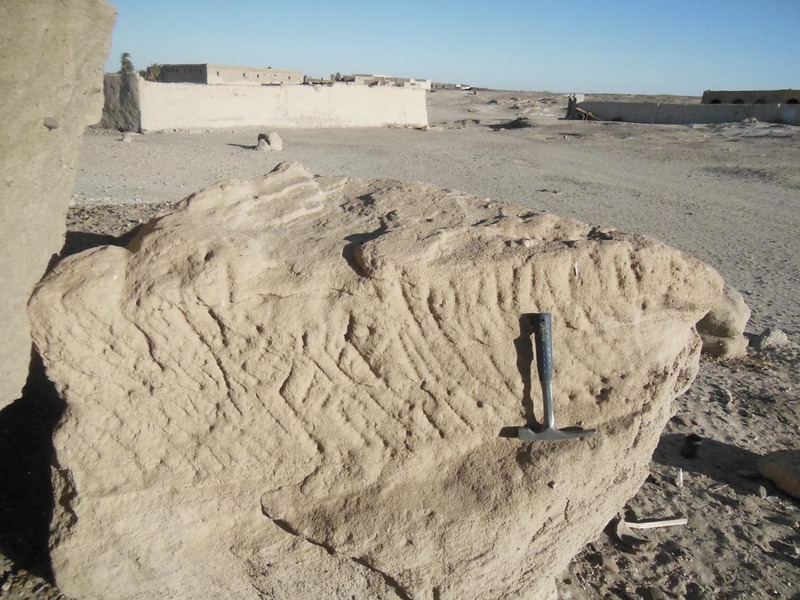 This entry was posted in Archaeology, Fieldwork, Landscape, Rescources & geology, Upper Nubia and tagged Gebel Abri, geoarchaeology, Geology, Pharaonic town, Sai Island, sandstone by Sayantani Neogi Sean Taylor. Bookmark the permalink. Please help to stop our government plans to drown the Nubian lands by constructing a destructive DAL,KAJBAR&SHEIREK dams….